Legendary animators Don Bluth and Gary Goldman are joining forces once again to create Dragon’s Lair: The Movie based on the 1983 iconic video game Dragons Lair. Check out the video below to learn more about the project to breath life once again into the awesome game I can remember playing in the arcades. Don Bluth and Gary Goldman are coming together once again to bring the classic arcade game Dragon’s Lair to the big screen. 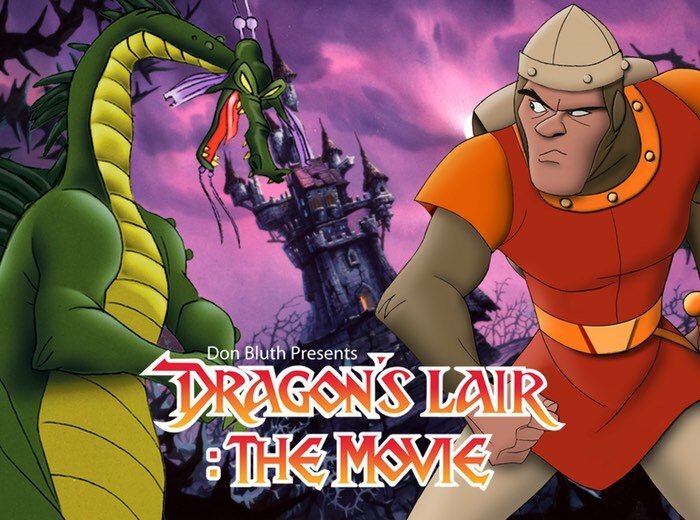 We are seeking your help to create a pitch to make Dragon’s Lair, the Movie through a Kickstarter crowd-funding campaign. Dragon’s Lair continues to be loved by millions around the world since 1983, and fans have been waiting patiently to see Dirk and Daphne at it again. Join us in this adventure as we prepare to bring Dragon’s Lair to a new generation. We’ve worked on ’20’ successful animation motion pictures, some of them “iconic”, The Secret of NIMH, An American Tail, The Land Before Time, All Dogs Go To Heaven and Anastasia to name a few. Visit the Kickstarter website to learn more about the project to take the 1983 game to the large screen and create the Dragon’s Lair movie.